Looking back briefly into the history of the city of Winchester, it plays arguably one of the most significant roles in the development of what we now call England, or indeed, Britain. And there is a creative thread running through the evolution of the city, from a hill fort in 150BC to the modern mini-metropolis of today. In the first century AD Romans created a regional capital, which fell into ruin after they left. There is some debate that at some point during the following Dark Ages Winchester may have been the home of King Arthur’s Camelot. 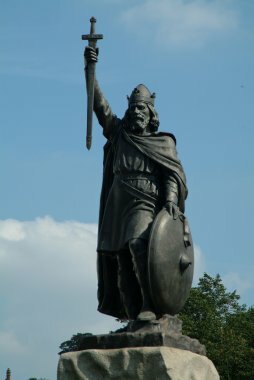 Whatever the truth of this, there is no doubt that in 871 the Saxon king Alfred made the city the capital of Wessex and England. Then, of course, came 1066 and one William the Conqueror. The Cathedral was begun in 1079 and the Domesday book was created in the city a few years later. Then followed over the next seven hundred years or so the Black Death, Henry the Eighth, Walter Raleigh, civil war, Oliver Cromwell, Roundhead troops sacking the cathedral and another plague, but eventually Winchester starts to calm down and become a centre for trade and various professions. Which brings us to Georgian times where creative people a little more familiar to us were in Winchester. Jane Austen died in the city in 1817 and Keats wrote his famous ode ‘To Autumn’ in Winchester in 1819. The railway arrived in Victorian times and the statue of Alfred the Great, which still stands in the Broadway, was erected to much international acclaim. It was sculpted by Hamo Thornycroft and was publicised as far afield as the New York Times. The Winchester Fine Arts Society was founded in 1888 and became the Winchester Art Club in 1919. The club is still extant today and holds three exhibitions each year. In the cathedral is a statue of one William Walker, a naval diver and a hero of Winchester. The cathedral was in danger of collapse in the early part of the 20th century and for five years he worked underwater in complete darkness shoring up the walls. In 1986 there was an exhibition in the Great Hall in Winchester, which has survived since the 13th century and is all that remains of Winchester Castle. The exhibition celebrated the nine hundred years since the Domesday Book was compiled. The Great Hall contains a, or should I say the, Round Table. In modern times art and culture have their ups and downs but no one can argue that during the last thirty years or so art has become more prevalent and accessible in communities thanks to a growing resurgence in art exhibitions, art trails, open studios events and the like. These have become tourist attractions in their own right as well as servicing their local area. And Winchester is no exception. Which bring us fully up to date, in fact into the future. Because from the 25th October to the 3rd of November 160 artists and creative people will be involved in a groundbreaking art event in the city. With over 160 artists taking part in up to 60 projects, this is one of the most ambitious cross-city arts events to take place in Winchester. The event will embrace visual arts, multi-media installations, sculpture, textiles, performance, poetry, music and dance. 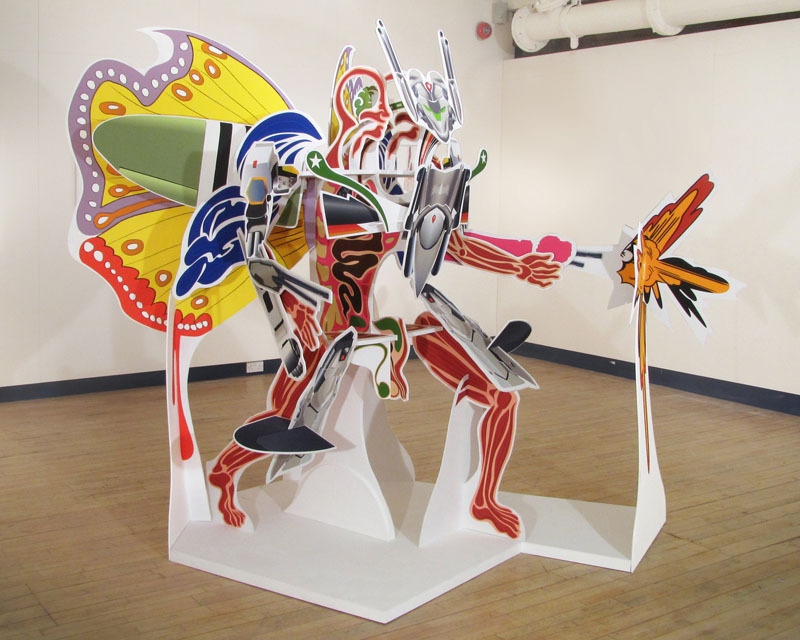 Local artists are developing work on the theme of Creative Collisions, which will be exhibited in Winchester Cathedral and sites spanning the city and online. The work will include a large-scale site-specific 3D creature by Ian Kirkpatrick and Julien Masson; an Arts and Business project developed with Badger Press and Lesley Carr of bulthaup Winchester to create limited edition prints by 30 artists; and a new collaboration between artist Stephen Cooper and international textile artist Alice Kettle entitled ‘Offering’, based on the motif of Bach’s Fugue. There is also a special work by international artist Andrew Carnie that engages audiences with sensory difference. Online an exciting Event Display encourages artists, visitors, schools, photographers, scientists and curators to join in and explore the idea of ‘collision’ and its place in collaborative and creative activities.Send your pictures, films, words and sounds to #10dayswinchester and see our Event Display unfold. The 2013 project will be the third event since the inception of 10 days in 2009. A successful bid for Arts Council funding now places it on a firmer footing to extend the reach of the project to include more artists than ever before and attract greater audiences. Creative Director, Trish Bould commented, “10 days is an amazing opportunity for the city to explode with creativity. We are inviting artists across all disciplines to take part in this year’s project with work that’s original, contemporary and high quality. We aim to foster new opportunities for arts innovation reflecting Winchester’s distinctive contemporary and historic identity.” As a recipient of a Culture and Community Activity Grant from Hampshire County Council, 10 days has at its core a schools engagement programme which will bring the excitement of Creative Collisions to schools in the Winchester district with activities based on science, creative writing and art. Arts Council spokesperson Jon Linstrum enthused: “Winchester deserves its reputation as an artistic centre and 10 days is going from strength to strength giving local people and visitors experience of the very best creative practice from across the district.” Visit www.10dayswinchester.org for all the information about the 10 days | Creative Collisions event. 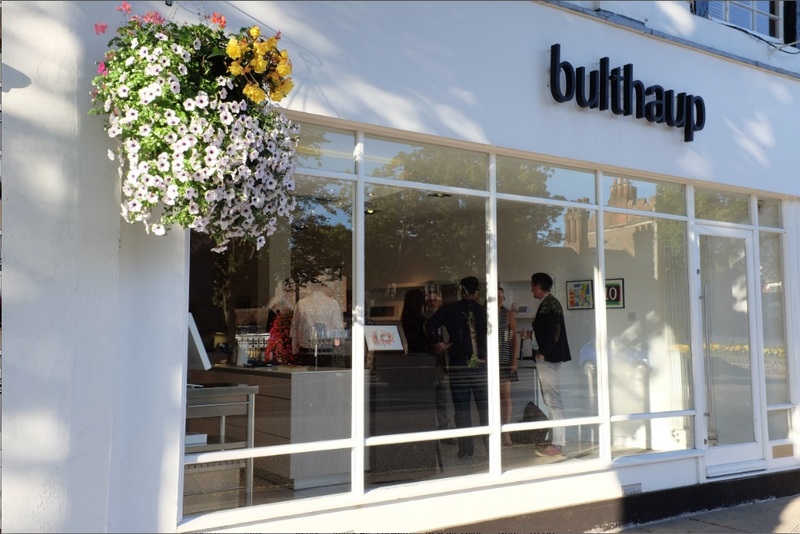 Badger Press of Bishops Waltham will be curating an open exhibition of specially commissioned prints in collaboration with bulthaup Winchester and other local businesses and cultural organisations as part of the 10 days project. 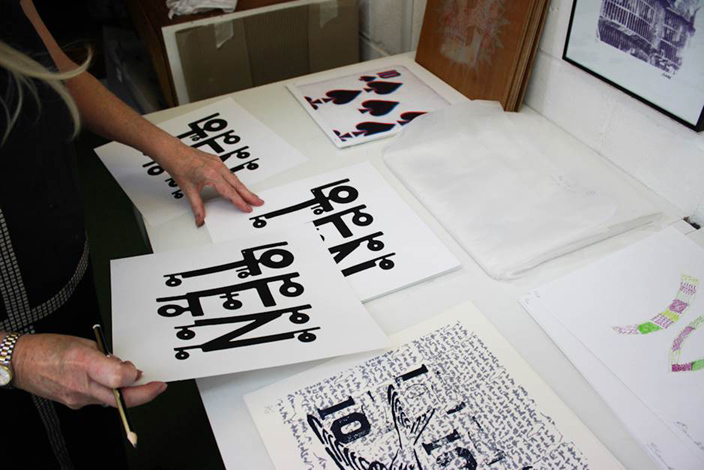 The Badger Press is an open access fine art print studio, offering courses to suit everyone. They provide studio hire and training in all aspects of printmaking. Their aim is to promote printmaking and support artists working in the region through guidance, training and a range of arts activities. 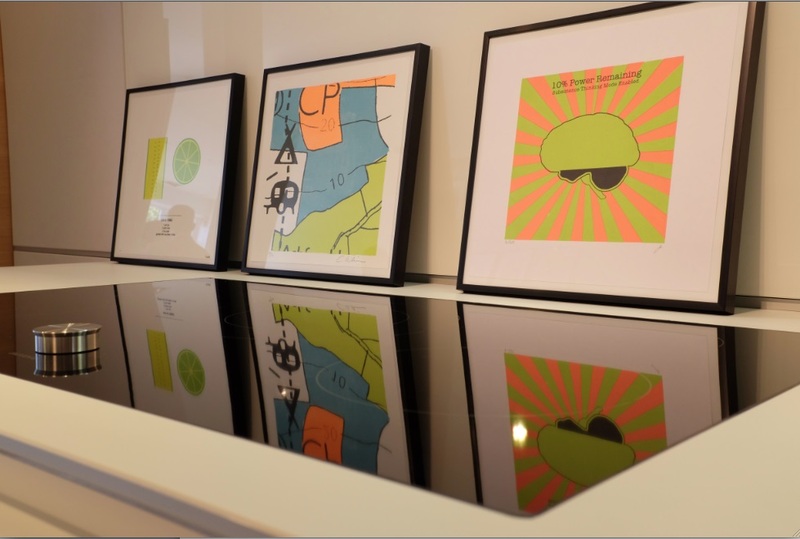 Editions of 10 engaged artists and members of the Winchester arts community to produce a multi-disciplinary print exhibition spanning Winchester city centre. 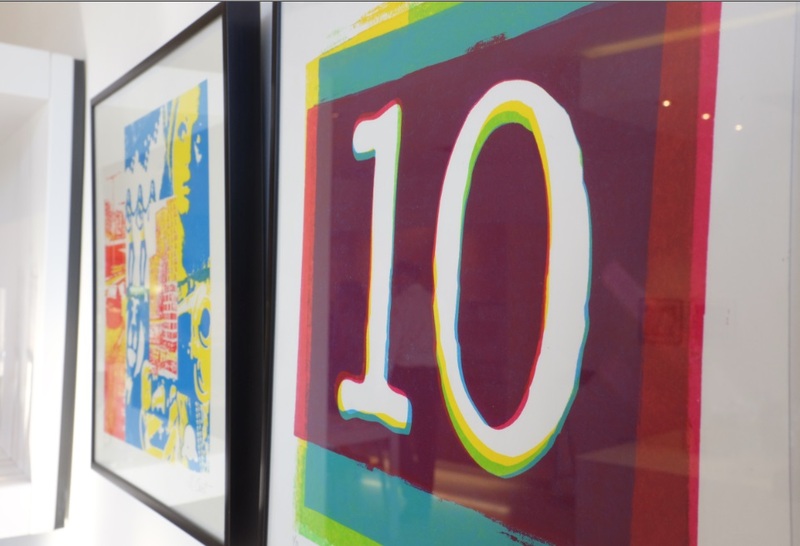 Using the numeric 10 as an identifiable starting point, Badger Press artists and local creatives have produced work under the title Editions of 10. As a collective their aim was to produce between 30 and 50 original prints each in an edition of 10 at a scale of 10” by 10”. The works were created as a group and printed together at the Badger Press studio where artists could get together to work with members of the Badger team to share ideas and processes. After engaging with local businesses as exhibition partners, the prints will be hung in public-facing windows of shops, restaurants and cafés throughout the city centre. As part of Editions of 10 the Badger Press ran free printmaking clinics at the Badger Press studio. The clinics gave an opportunity for creatives from a variety of backgrounds and levels of experience to get together and work through, share and print ideas together. An initial exhibition was held ahead of the 10 days event at bulthaup Winchester before the collection was dispersed to participating organisations across the city. Badger Press received a bursary from 10 days to develop the collaboration connecting artists with each other to share practice, specialist techniques and ideas. Studio manager Adam Eager said, “The bursary will be divided between giving free studio inductions, printmaking tuition in the form of printmaking clinics and the purchase of materials and building time for display of the work.” Adam added “10 days has gained a reputation for excellence through its two previous events and this exhibition is a really innovative way of engaging business with the arts.” If you are interested in learning about printmaking or improving your skills why not book onto one of the courses that run throughout the year. For further information contact Badger Press by email: adam@badgerpress.org or telephone 07745 104540 or visit www.badgerpress.org. Of course creativity is not limited to ‘the arts’. For example bulthaup, one of the key business supporters of 10 days, demonstrates the creative collision between art and design with their kitchen installations. They are constant ambassadors of the design capability available in the Winchester area and love reminding people that they don’t have to go to London to get the most creative solutions for their homes. From the choice of materials, where there may be a juxtaposition of metal, stone and wood, to the innovative storage ideas and engineering ingenuity, bulthaup’s creative minds are always working towards aesthetic perfection as well as functionality. No doubt many of the artists taking part in Creative Collisions are familiar with this treasure trove. Stepping over the threshold of Creative Crafts, I’m like a kid in a candy store. It would be easy to while away a lunch hour just browsing, trying to decide which art materials to get, or which craft to try next. Creative Crafts has been established in the centre of Winchester for over 30 years and they pride themselves on excellent and friendly customer service. They are main stockists of Daler Rowney, Sennelier, Caran d’Ache and Derwent Pencils, plus a host of others in the art department; Coats Crafts, DMC, Louden Fabrics and Williams Haberdashery in the needlework department and Decopatch, Artoz, Craft UK, Hama and Snazeroo face paints in the craft department. Creative Crafts can supply a single pompom to a top quality paper cutter, a metre of ribbon to a batik wax pot, and a single paint brush to a complete set of artists’ watercolour paints, with all items in between. Their demographic includes very young children through to great grandparents and if you want to start a new craft or find supplies for a current craft, Creative Crafts is the place to go. Visit www.creativecrafts.co.uk or drop in, it’s well worth the detour. The Colour Factory Artists’ Studios and Gallery, in central Winchester, seeks to provide a professional, energetic and accessible environment where colourful and imaginative ideas can be realised by both artists and community. The Colour Factory is a studio for a group of five professional artists. The studio was set up by professional artists Jenny Muncaster and Linda Miller in 1994. It has since gone from strength to strength, winning awards for its community arts projects and involvement. The Colour Factory combines professional artists’ studio practice, an art gallery and educational workshops. This unique and sustainable working practice is a model which has been copied by other organisations regionally. The artists include; Jenny Muncaster, a renowned food artist whose unique paintings are featured across Hotel du Vin and Brasserie Blanc nationally. Linda Miller, machine embroiderer who exhibits throughout the UK and has pieces held in the Victorian Albert Museum and The Arts Council. Jill Maguire a contemporary glass and ceramics artist. Rachael Alexander who specialises in trompe l’oeil paintings and large scale artwork for interiors. Kate Talbot, illustrator and kitsch soft sculptor who has exhibited alongside Tracey Emin and Grayson Perry. 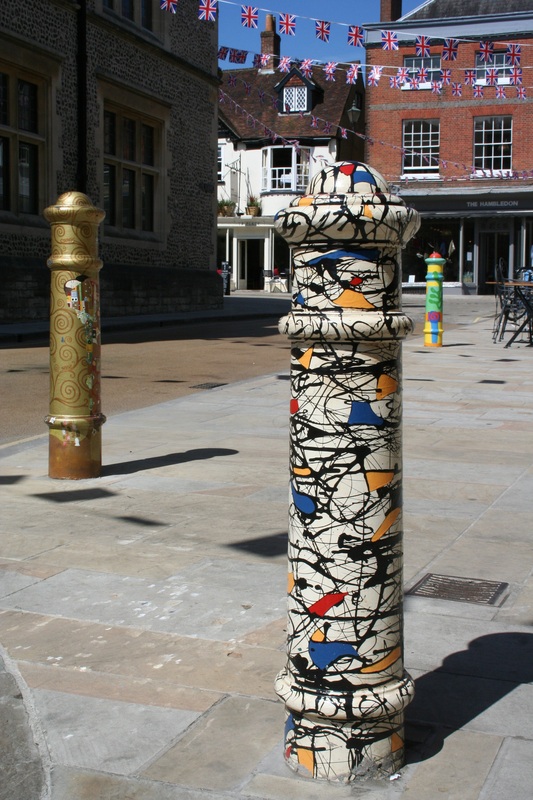 The artists also created Winchester’s Art Bollards project, where the artists hand painted twenty-one art bollards in The Square each sponsored by WCC and local businesses. The gallery has a changing exhibition of paintings, textiles, jewellery, glass and ceramics, as well as a large selection of artists’ cards. Whilst working as individual professional artists The Colour Factory team also facilitate art workshops and demonstrations to a wide range of people of varying ability, passing on professional techniques and enthusing them with inspirational ideas in a fun and imaginative way. The team runs a programme of art workshops for adults and children from their purpose built workshop, ‘The Lightbox’ in their beach garden. They also provide educational and fun art birthday parties for children of all ages. Visit www.thecolourfactory.org.uk for details of forthcoming art events and workshops. Shoreditch lifestyle and interiors store, Pitfield London has come to Winchester and promises to be bold, bright and brilliant. Pitfield London is the unique shop, café and gallery space owned by celebrated interior designer and Channel 4’s Four Rooms TV star, Shaun Clarkson. The Winchester pop-up store is a collaborative project with popular local restaurant, The Chesil Rectory, following a long friendship between Clarkson & the restaurant owners. 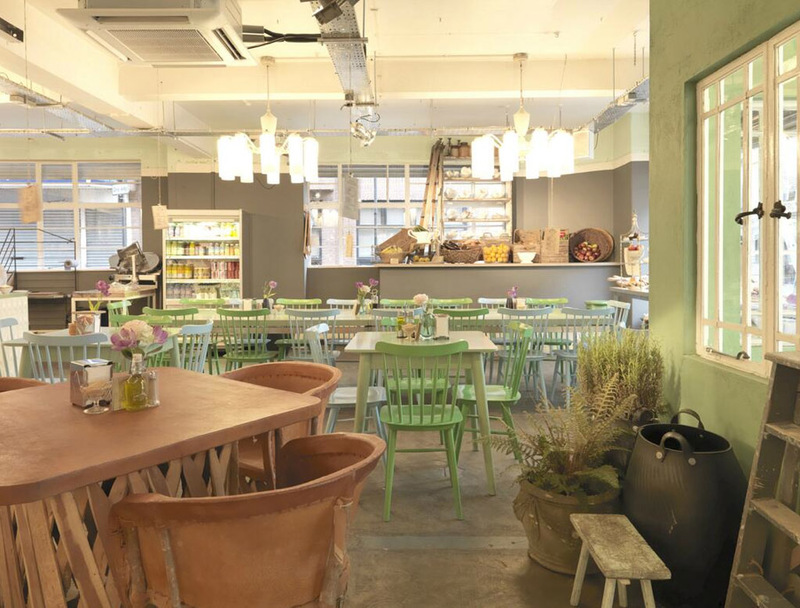 The Pitfield café will be an extension of the lifestyle store offering freshly made soups, salads and snacks as well as featuring a beautiful tea room for speciality tea and cakes. There will also be a Hampshire larder selling a carefully selected choice of delicious local produce. And to top it off, an intimate gallery space for local artists and designers to exhibit their work with striking installations. Besides being a very spacious library, the Discovery Centre in Jewry Street also hosts dance classes, music, authors’ talks, creative courses and has a gallery which regularly features some very interesting exhibitions. During the 10 days event there is an exhibition by Graham Gussin entitled ‘Close Protection’.